Astilbe. 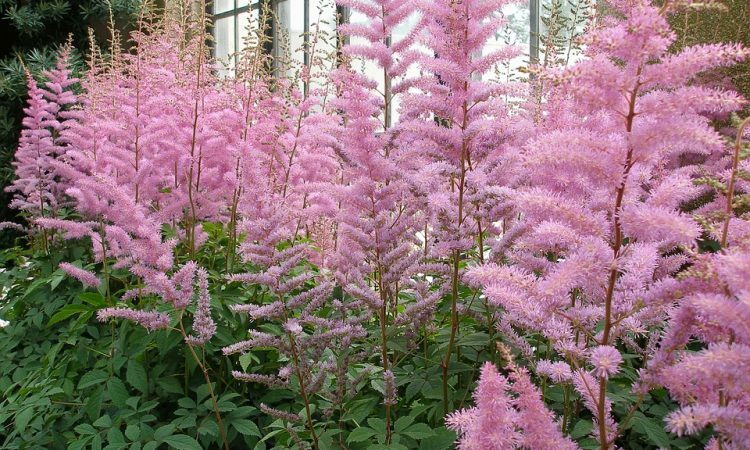 The Astilbe resembles the Aruncus superficially in the nature of their feathery flower spikes, but generally, as seen in the garden, they are not as tall. Perhaps the most popular group for outdoor planting is known as A. Arendsii, this being an improved race derived from hybridizing many other species. 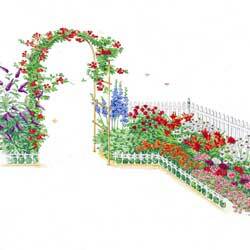 The varieties found in catalogs bear rose, lilac, salmon-pink and white flowers. Some of the names are: Ceres, Juno, Kriemhilde, and Vesta. 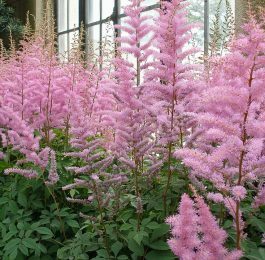 The names such as japonica, Davidii and ,grandis are the species of Astilbe which are the parents of the named varieties. Large quantities of A. japonica were formerly imported to the United States for florist use at Easter time. A federal quarantine prohibits these plants now. 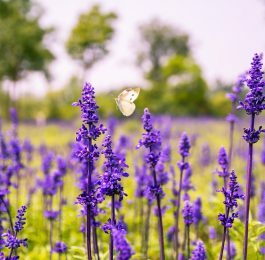 The plants in the garden bloom in June, July or August. Filipendula. Meadow Sweet. Uhnaria. The commoner species known as the Queen of the Meadows, Filpendula Ulmaria, is a tufted, fern-leaved plant. In late June and during July the plants send up flower stalks 18 inches tall, bearing masses of white flowers. The double sort, flore pleno, is more showy than the single. F. purpurea (palmata) and its variety elegans have red and pink flowers produced in large clusters, the crimson flower stems growing 3 feet tall. They bloom from June to August. USE AND GENERAL. These plants are exquisite for the border. where they lend a misty charm to almost any combination of perennials. They are superb pot plants. Filipendula Ulmaria, because of its dwarf growth, is useful as an edging plant. Cut sprays of all sorts add much to a bouquet in the home. They prefer a rich soil and an abundance of water while in bloom; for this reason they are well planted at the waterside. They are at home in half shade. PROPAGATION. The habit of growth by forming dense clumps suggests the easiest method of increasing the plants; that is, by dividing them with a strong knife.